While in the port town of Aulis, preparing his naval fleet for war with Troy, King Agamemnon visited a woodland area dedicated to the goddess Artemis. He kills a deer during his visit, which displeases the goddess of, among other things, wild beasts and hunting. An oracle declares that in order to appease Artemis, Agamemnon must sacrifice his oldest of four children, his daughter Iphigenia. Agamemnon refuses to comply. But Artemis has sent powerful winds to Aulis that prevent the Greek fleet from setting sail. Agamemnon has no other choice but to kill his own daughter to right his offense. The lessons of this Greek myth, retold in Euripides and Ovid, include a brutal eye-for-an-eye punishment rationale, while also remarking that even kings are human, and thus mortal in the face of the gods. Greek director Yorgos Lanthimos, whose screenplay for The Lobster (2016) alongside co-writer Efthimis Filippou earned an Oscar nomination, returns to the realm of highly metaphoric storytelling with The Killing of a Sacred Deer. Deeply tragic in the classical, Aristotelian sense, Lanthimos uses the Iphigenia myth as a basic narrative structure to reveal universal anxieties and obsessions through his uniquely mannered, occasionally comic treatment, except often in horrifying ways. 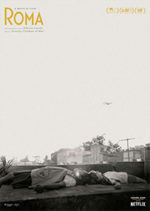 The film’s opening shot is unforgettable. Framed by teal wrappings, a human heart undulates in an open chest cavity, while busy hands prepare the site for surgery. From a close-up that fills the frame with throbbing viscera, the shot slowly pulls back, saturating the image into the mind. Cut to Dr. Steven Murphy (Colin Farrell), the cardiologist overseeing the procedure. He stands over the patient, supremely confident. For all intents and purposes, he should be. Steven leads a wonderful life, unlike the frumpy character Farrell played for Lanthimos in The Lobster. Behind a thick beard and Hellenistic physique, Farrell’s Steven lives in an extravagant but comfortable suburban home with his equally successful ophthalmologist wife Anna (Nicole Kidman, fresh from co-starring with Farrell in The Beguiled). They have two children, the 14-year-old daughter Kim (Raffey Cassidy) and 12-year-old Bob (Sunny Suljic), and all of them speak to each other with a regimented politeness that seems almost other-worldly. Gradually, Lanthimos reveals another aspect of Steven’s life that raises an eyebrow. 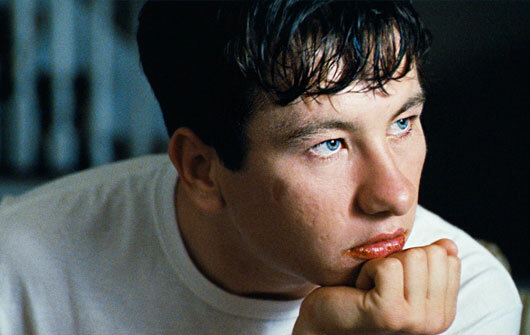 He keeps regular appointments with a 16-year-old boy, Martin (Barry Keoghan, best known from Dunkirk), whose father died on the operating table some years earlier. Their rendezvous at a small diner, followed by a walk along the river, has an untold purpose. Later, after Steven admires the wristwatch of his anesthesiologist colleague (Bill Camp), he promises to buy the same model for himself; instead, he purchases the expensive item for Martin. As our imaginations go to the worst possible places, Martin’s twitchy, oily-skinned presence remains crawling, marked by the chasm of his beady, inexpressive eyes. Being polite, Steven invites Martin over to meet the family, and the boy becomes an odd fixture. Still, everything about Martin and his unclear relationship with Steven is vaguely off, and it becomes increasingly so when Martin insists on returning the favor and treating Steven to a family dinner. It’s apparent how Martin regards Steven as a replacement father figure, and the uneasy dinner to follow doubles as a matchmaking scheme to accommodate Martin’s lonely and desperate mother (Alicia Silverstone, in a brilliant single-scene performance). “I won’t let you leave until you’ve tasted my tart,” she says at one point—and this is after making several compliments about Steven’s clean, beautiful hands. Not long afterward, Bob is unable to walk and refuses to eat. After a series of tests and scans, the cause remains a mystery—at least, until Martin reveals it in a blood-curdling ultimatum, a “critical moment we both knew would come,” he claims. Martin wants poetic justice for his father, and unless Steven selects a single family member to sacrifice as a symbolic punishment, each of them will slowly die. 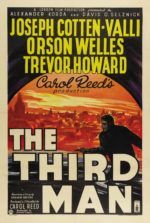 Unable to prove Martin’s plot, the situation grows perilous, increasingly nightmarish, and descends into a paranoid sort of thriller that carves away at Steven, Anna, and their children. Regardless, Kim maintains a secret romance with Martin, blindly falling for the boy whose ability to cause such terror goes unexplained. It’s all the more frustrating for Steven, a devout man of science and reason, when none of the medical tests are able to heal Bob and, eventually, Kim, both of whom cannot feel below the waist and must be fed intravenously. Much like The Lobster, Lanthimos permeates a clinical, removed tone, imprinted by the unanimously excellent cast’s deliberate and stilted line readings. All of the characters speak in a flat timbre and dreary rhythm, as though an artificial intelligence has made new progress with a voice synthesizer—but it isn’t quite convincing enough yet. Watch the scene where Kim sings Ellie Goulding’s “Burn” in a gawky a cappella, and her teenage stiffness seems almost robotic. Moreover, the characters talk in a curiously open way, sharing otherwise embarrassing details with a striking matter-of-factness. Early on, Kim reports over breakfast that her first menstruation cycle has just begun, and Steven congratulates her. In another scene, Bob inquires about how much armpit hair Martin has. Martin shows him, and Bob comments that his father has more; and then later, Martin asks Steven to confirm the thickness of his armpit hair, and Steven proceeds to prove the claim without reservation. Such weird exchanges and situations occur throughout the film, landing somewhere between satire and surrealism, and they might be funny if the aesthetics didn’t chill to the bone. Formally, Lanthimos’ refined hand draws from Stanley Kubrick and Michael Haneke, with a touch of Luis Buñuel. The director’s emotionally distant approach, and the camerawork by cinematographer Thimios Bakatakis, evoke Kubrick’s austere control and intentionality. Long passages follow Steven down hospital corridors, conjuring the extended Stedicam hallway shots in The Shining; except, the angle peers at Steven from on high, usually capturing him from the mid-chest and up—a perspective that seems to look down on the venerated doctor from the god’s-eye-view. In other scenes, the frame begins from a distance and gradually zooms in; or the reverse, a medium shot slowly zooms out into master, a pattern employed by Kubrick on Barry Lyndon, giving the picture an antiseptic quality that invites careful observation. Beneath the unnerving atmosphere, discordant violins pierce the mood with selections from Bach, Schubert, and Ligeti, pieces that when placed together in a score recall one of the stark, intense compositions by Mica Levi (Under the Skin, Jackie). The music in the film maintains a sense of dread, a persistent and unsettling feeling that registers from the first shot onward, never wavering through the haunting final scene. 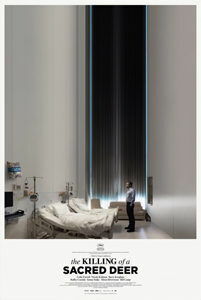 Lanthimos steeps The Killing of a Sacred Deer in menacing subtext and substance, never approaching a scene the way you expect, never allowing the viewer to guess what will happen next. There’s no time to think about what’s coming; his audience remains bewitched by the cerebral and symbolic narrative, as well as the director’s pristine but modest visuals, however influenced by previous auteurs they may be. Additionally, the subtle shifts in mode from psychological horror to satire to allegory keep us reconfiguring and reacclimating. After his breakthrough Dogtooth (2009) and then The Lobster, Lanthimos demonstrates his growth and exploration as a filmmaker here, without sacrificing his penchant for mordant humor that incites laughter and recoil in the same instance. With a trio of incredible and multifaceted performances by Farrell, Kidman, and newcomer Keoghan, The Killing of a Sacred Deer is an impressive and unforgettable achievement. 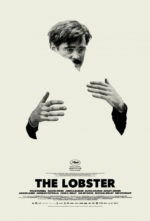 Although it may prove less relatable than the unquieted romantic angst of The Lobster for some, the film nonetheless finds a spot in the mind, burrows deep, and festers there for long after the initial experience.